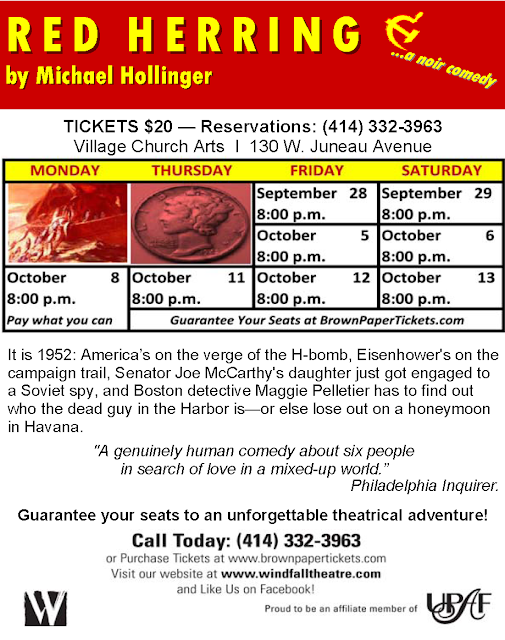 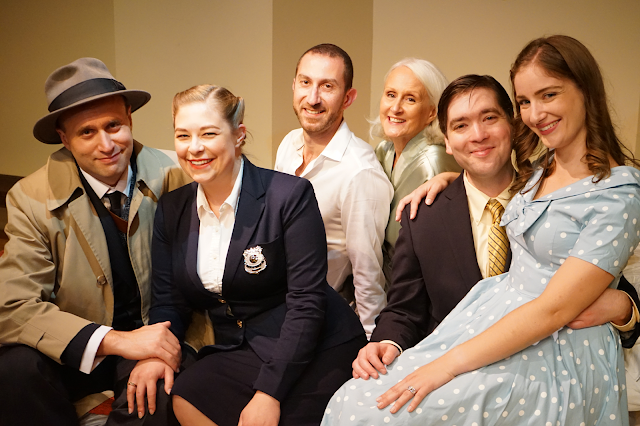 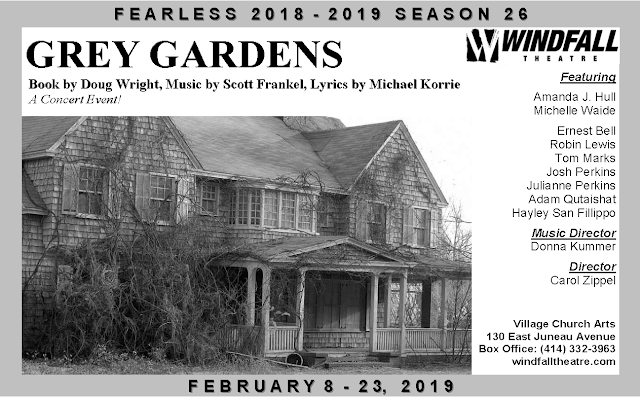 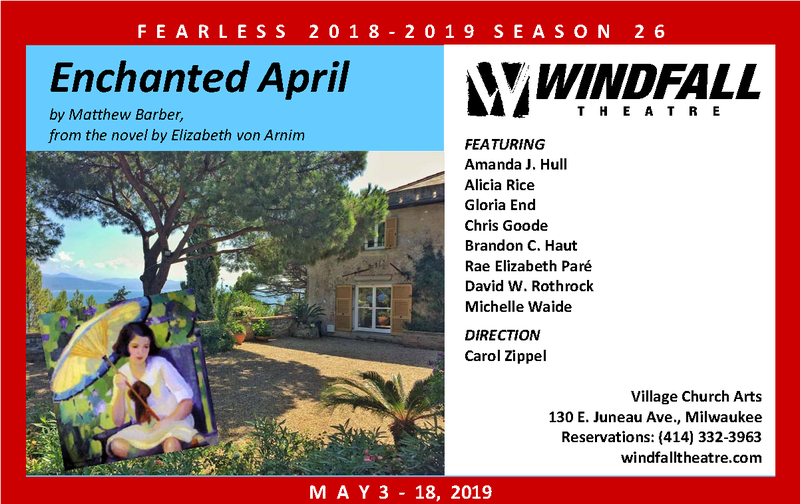 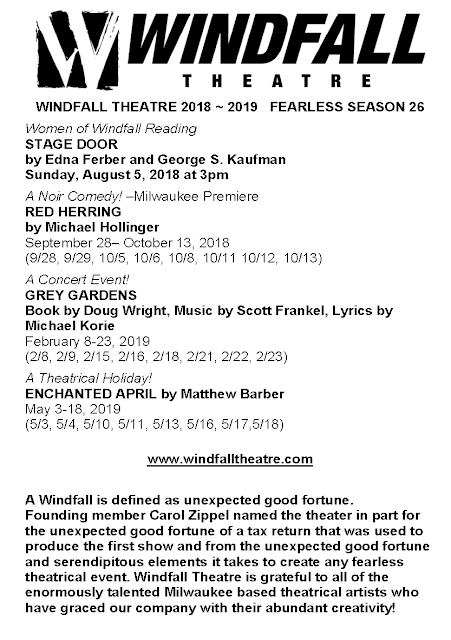 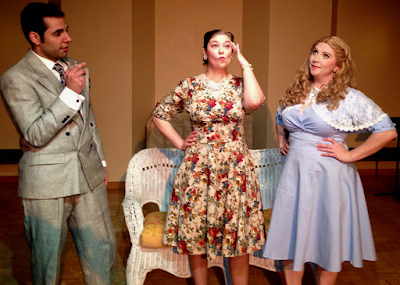 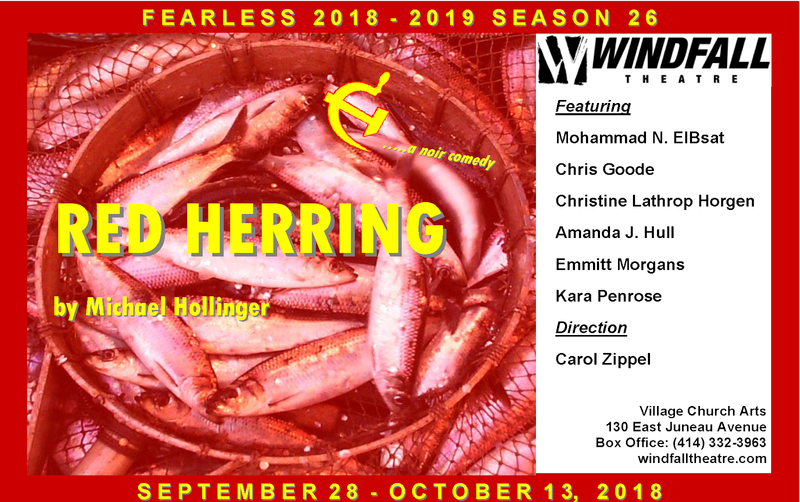 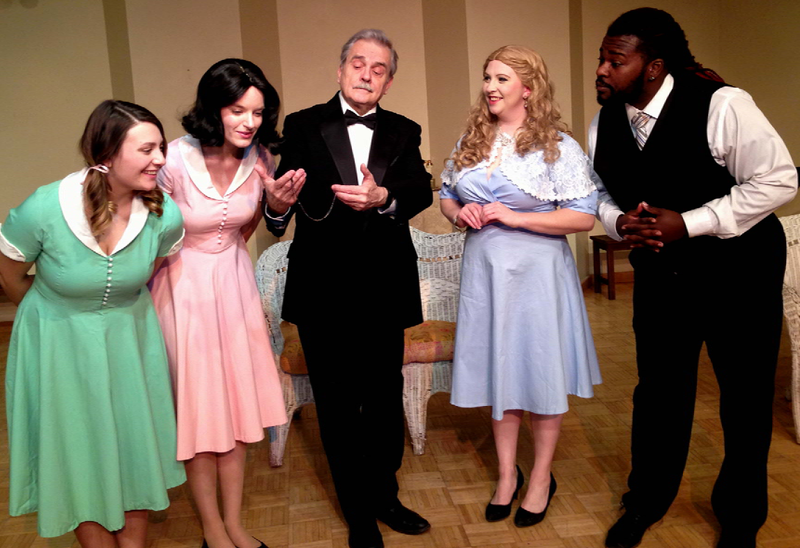 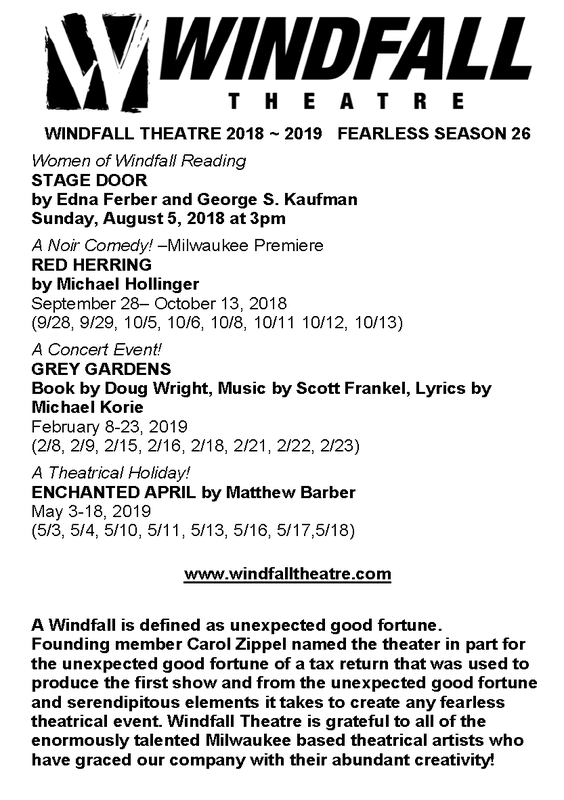 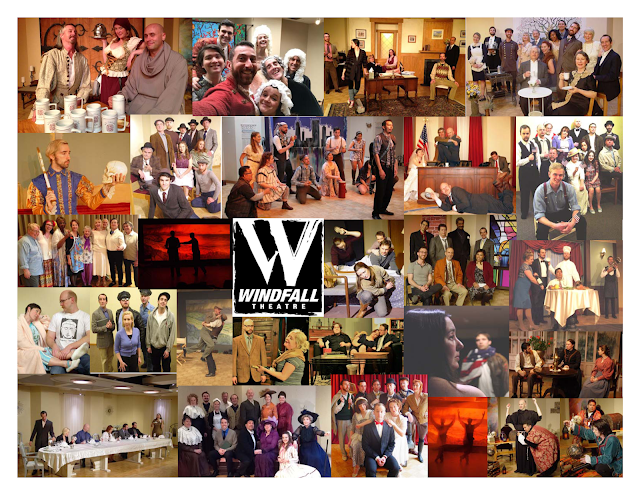 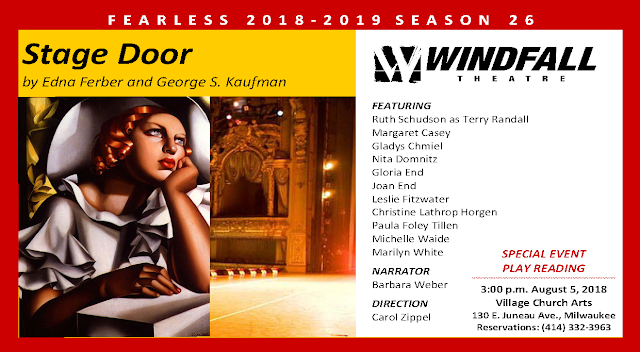 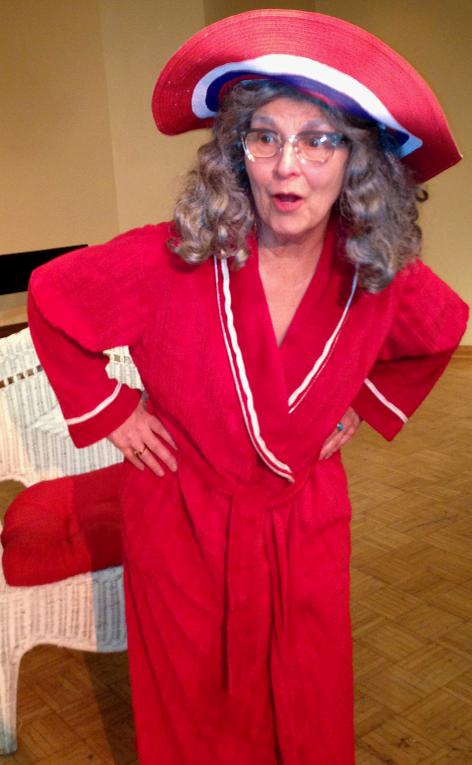 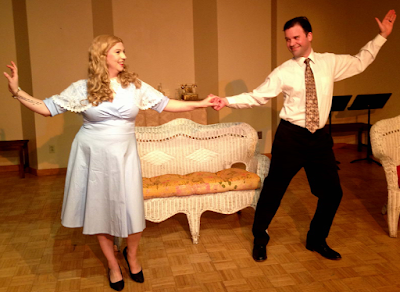 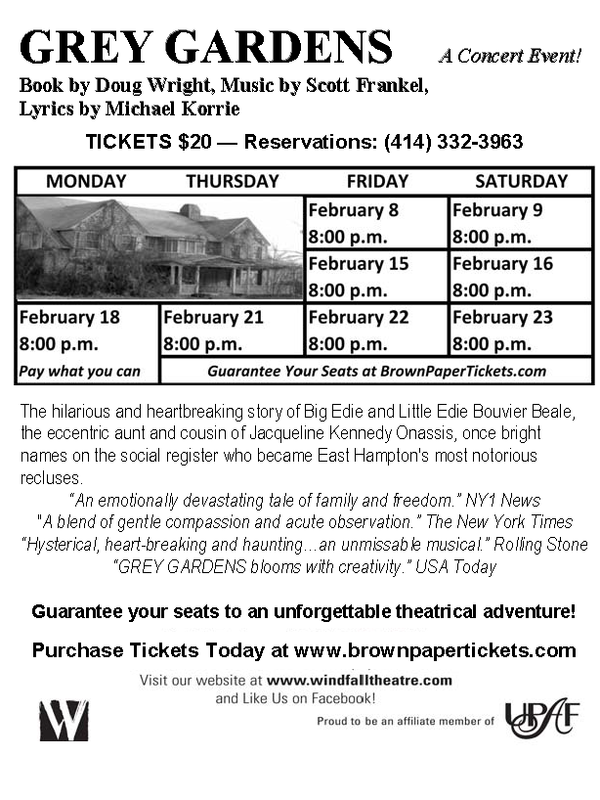 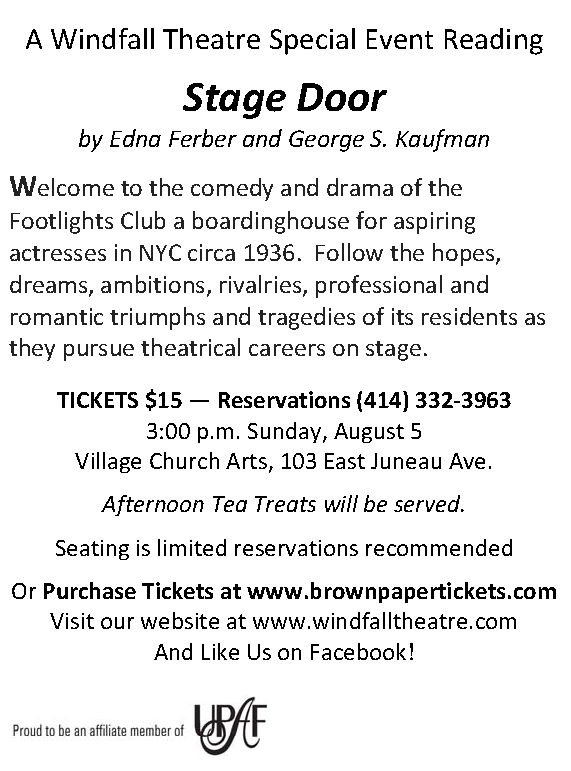 WINDFALL THEATRE SEASON 26 TRIPLE PLAY! 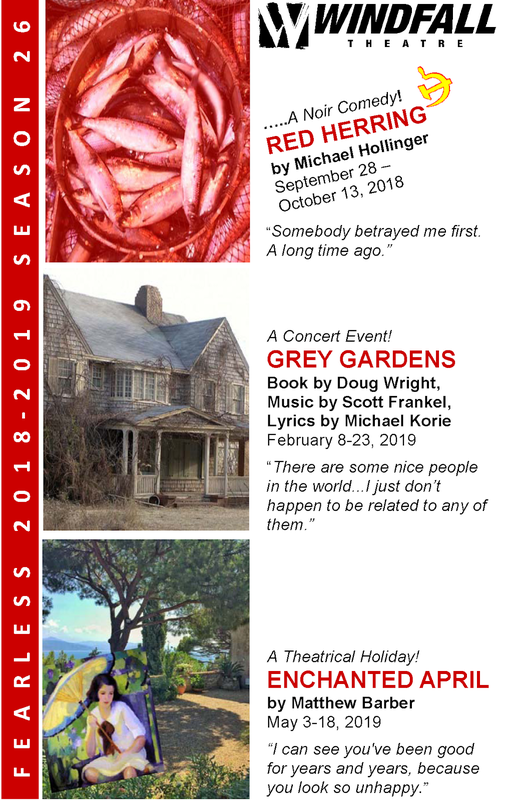 DON'T MISS A MOMENT OF SEASON 26! TRIPLE PLAY PASSES ON SALE NOW! 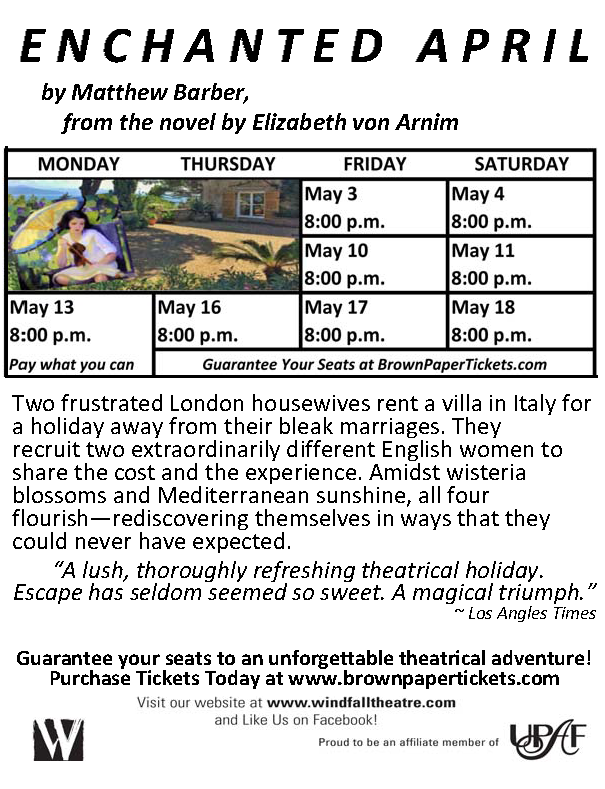 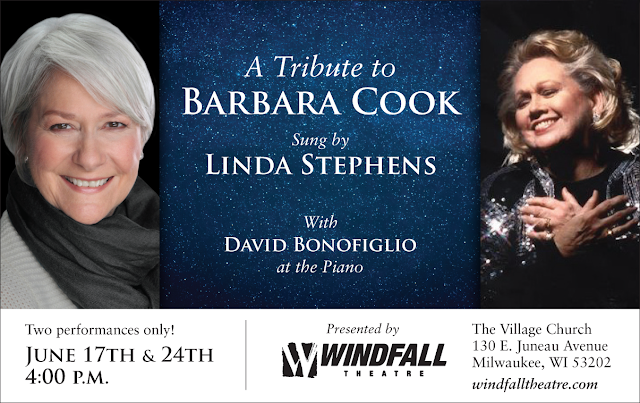 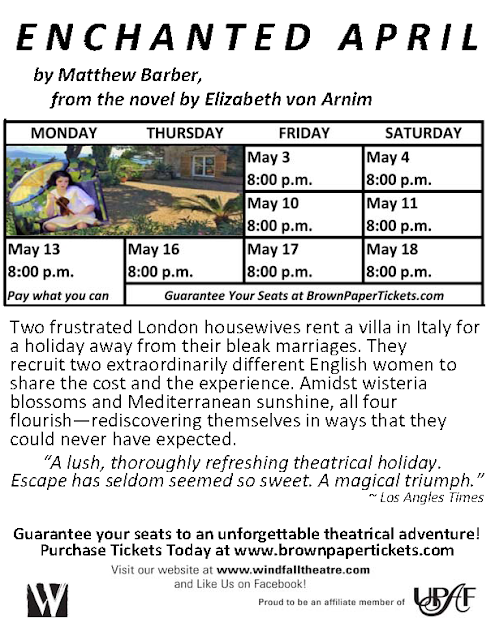 CALL THE BOX OFFICE AT 414-332-3963 FOR DETAILS! 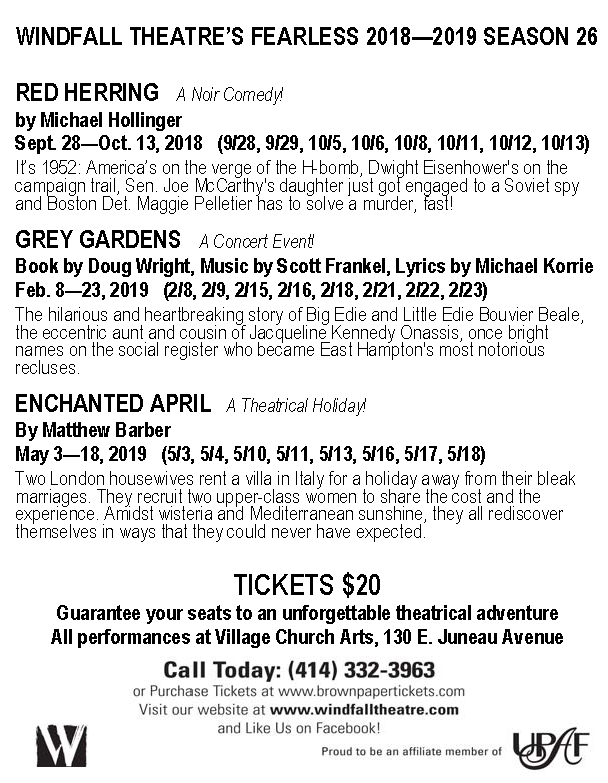 Click to Guarantee Your Seats Today!